Luckily, there are a few DIY methods to unlock your car door when desperate, and I'm not talking about hoaxes such as using a cell phone or tennis ball. To pop your locks open when you don't have your keys, try your shoelace, your car's antenna, or even your windshield wiper. These lockout tricks may sound unbelievable, but they most definitely work, though it all depends on your make and model vehicle. Newer cars and trucks will be harder to get into with automatic locks and security systems—but not impossible. You can at least try one of these lock-picking tips out before calling an expensive professional to do it for you. It may sound like an impossible task, but you can unlock your car door in a matter of seconds with nothing more than one of your shoelaces. 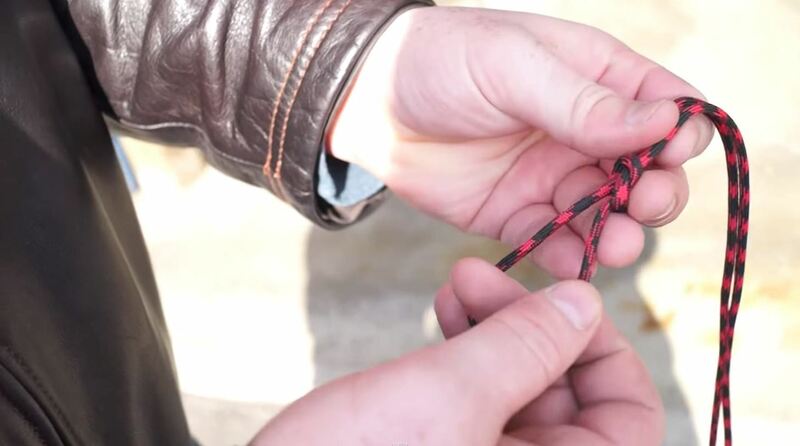 Take off a lace from one of your shoes (another type of string will also work), then tie a slipknot in the middle of it that you can tighten by pulling on the string's ends. Hold one end of the string in each hand, slide it through the corner of the car door, and use a back-and-forth motion to get it down far enough so that the knot can slide over the doorknob. Once it's in place, pull on the string to tighten it and pull up to unlock it. 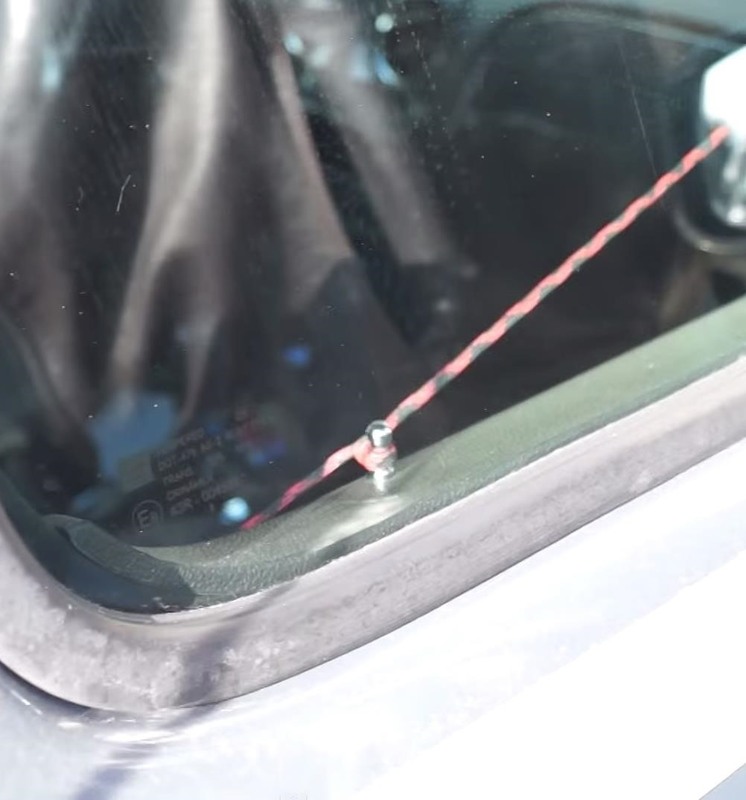 This method won't work for cars that have the locking mechanisms on the side of the door, but if you have a knob at the top of your door (like in the screenshots above), you have a great chance of getting this to work. Slide the air wedge in next to the wooden wedge and pump air into it to create more separation between the car and the door. Push in the wooden wedge the most you can until you have a sizable gap. Finally, slide the rod in through the door gap and carefully unlock your door via the locking mechanism on the side. If you don't have an air wedge, you could probably get by without it. It'll be harder to do, but the following video makes it look easy. If you have the locking mechanism up top instead of on the side, you can use a strip of plastic instead, which may be easier than a shoelace. You will still need to pry the door open somehow, with or without an air wedge. 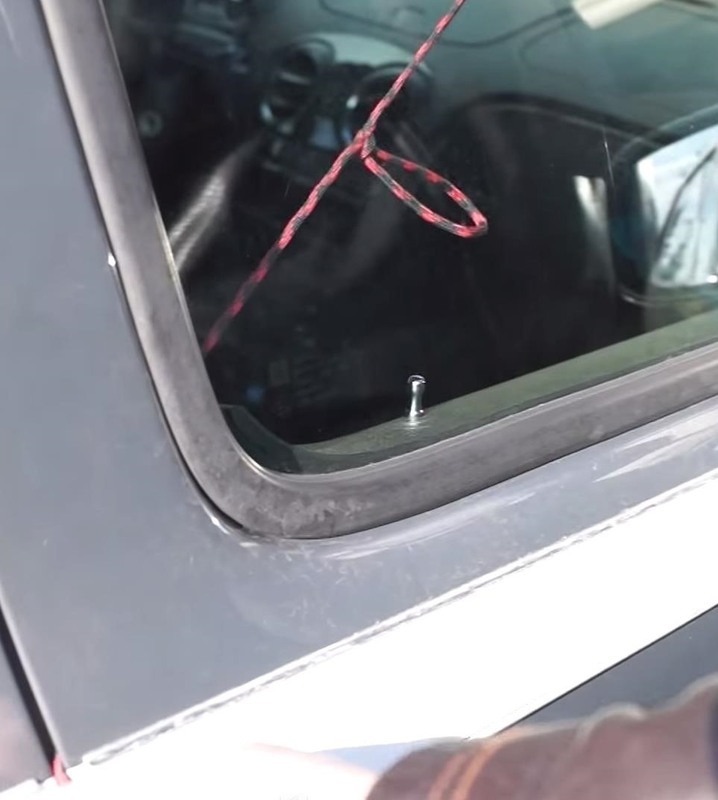 With the help of some pliers, unravel the coat hanger so that you have one straight side and the other hooked, which you'll be using to pull up the control arm inside the door that's connected to the lock rod. Rotate the hanger until the hook is facing the inside and fish around for the control arm, which isn't always easy to find. Once you're locked in, pull up and the car door will open. Again, the coat hanger trick only works on certain lock mechanisms, usually on older cars, so this most likely won't work on newer model cars. 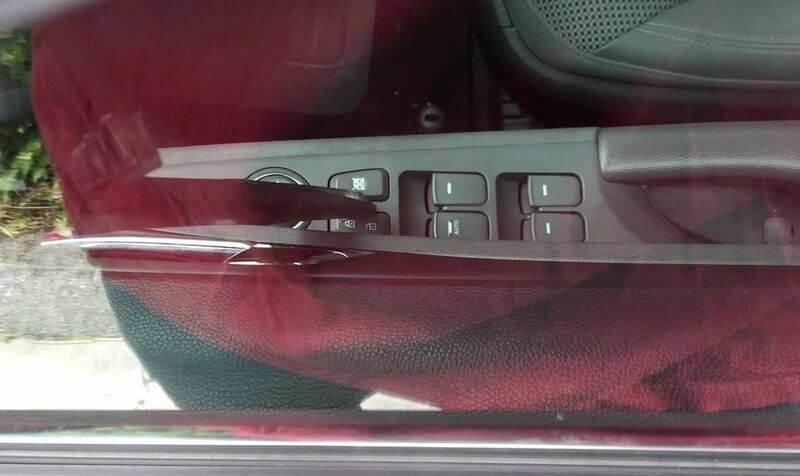 For newer cars, you can still use a coat hanger, but you'll have to stick it in between the door and the rest of the car (like in Method #2) to unlock it from the inside. Just unscrew the antenna, carefully maneuver it up through the inside of the door handle, and move it around until the lock starts jiggling. Once you see you're making a connection, push your antenna forward and the door will unlock. 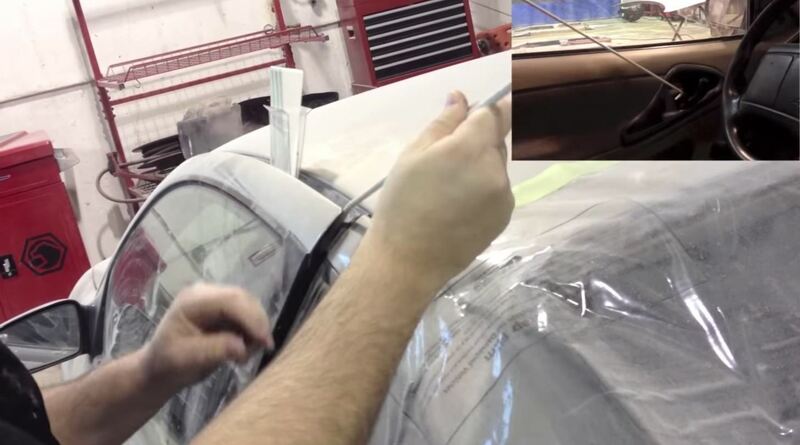 You can usually remove your car's windshield wipers pretty easily, but the method differs between each car model. No matter what car you have though, a windshield wiper might save you from having to call a locksmith to open your locked car door. First, remove the wiper from the front of your car. If your window is slightly ajar, or you can wedge the door open, you maneuver it into the interior of the car. Use the wiper to either grab the keys on the chair or hit the unlock button on the side of the door (which I tried out successfully myself in the video below). You can practically use anything long enough that fits through your window, but if you're in a hurry and don't see anything else around you that can fit through the crack, the windshield wiper is your best bet. Did you try out any of the methods above? 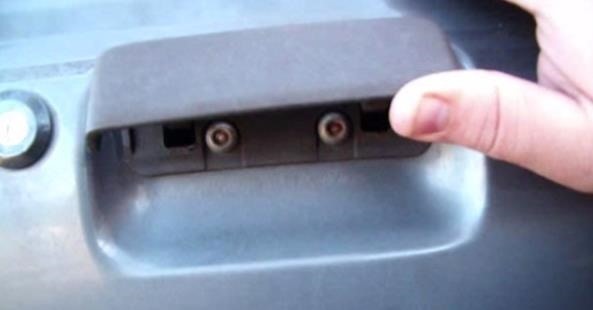 Or do you know other DIY ways to unlock your car door? Let us know in the comments below! If none of these worked for you, you could always try AAA roadside assistance if you're a member (or call and sign up on the phone). They usually refund you some or all of the costs if you have to call a locksmith. If you don't have AAA, you could try calling the police or local (university or mall) security. Cops usually have slim jims in their vehicles, but don't count on it — helping you out is probably the least important thing on their to-do list. If you don't want to get locked out again, you could also invest in some magnetic key holders. Put a spare car key in there and hide it under your bumper. 2007 Chrysler 300c Success!! I unraveled a metal hanger, looped the bottom and squeezed it through the door until I got the loop around the inner door handle and pulled upward until the handle opened the door. It took some patience and boom pow got in my car within 20 minutes- opened it up before AAA called us back. Thanks for the idea, gotta love the internet!! !